December is the time of the year when a lot of people jet set from one place to another. Aside from the long breaks from work, it also provides everyone with the opportunity to immerse themselves in holiday cultures all over the world. So this week, we will be sharing with you some destinations you might want to consider if you are traveling during the Holidays. Enjoy a magical Christmas (or Noel) in Quebec, Canada. For those of us who do not have the luxury of traveling all the way to the other side of the world, there is a destination that fits your description of “Winter Wonderland” perfectly—Quebec! The lights and the decorations in Quebec during the holidays is as enchanting as the ones you see in a fantasy film especially since they are draped around century-old stone homes. Make sure not to miss their Christmas Village! The European vibe of the city also adds up to the magic, and they have Christmas markets that will land you amazing trinkets to bring back home. Be a stone’s throw from the North Pole in Tromso, Norway. If you, as a child, have always dreamt taking the Polar Express to Santa Land, then you’ll be thrilled to hear that you can make that dream come true by booking a trip to Tromso this holiday season! If you’ve never seen the Northern Lights before, Tromso is definitely the place to be because they have it almost every night! Moreover, the weeks leading up to December 25 is filled with events that will make you feel like you’re celebrating Christmas everyday—they have Christmas plays and concerts, an exhibit of a Gingerbread city, and if you’re travelling with kids, they have a unique Christmas celebration at the Tromso Mini Zoo that includes a visit from Santa himself! Discover what a traditional Christmas is like in Provence, France. While we would recommend a Provencal getaway any time of the year, the province is especially breathtaking during the holidays. You can find beauty almost anywhere—from the snow-covered roofs and smoke-stained chimneys to the twinkling lights in Cours Mirabeau. Their Christmas traditions are like no other: they set up their Christmas Cribs at home, plant the Wheat of Saint Barbara at the beginning of the season, then light up their Christmas Log and feast on 13 Desserts on Christmas Eve. Aside from witnessing these traditions, you may also visit their numerous Christmas markets and truly immerse yourself in their food, products, and culture. Enjoyed this article? Stay tuned for more. Being one of the underrated islands in the Indian Ocean for the longest time, Mauritius has finally started gaining popularity among travelers in the recent years. As travel-aficionados continue to seek more “virgin” destinations for luxury travel, it’s easy to see why Mauritius became one of their top picks. Having beautiful beaches is just one of its many perks. The beaches is probably what lures travelers to visit Mauritius in the first place, but the island’s natural beauty, art, culture, and people are be the reasons why these travelers will keep coming back. Let’s delve deeper into why The Star and the Key to the Indian Ocean is one of the ultimate vacation spots. The beaches redefine what “luxury travel” means. 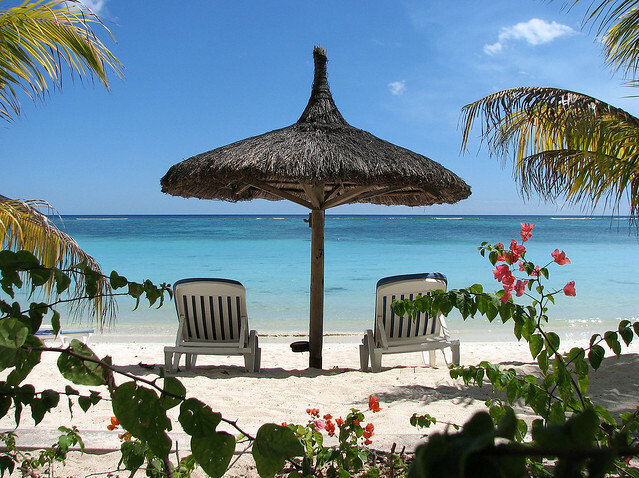 As mentioned earlier, many travelers are beholden to Mauritius because it has some of the most beautiful beaches in the world. If you are ever visiting the island, do it during their summer, which is in November to May. This is the time when you will see their waters in the bluest of blue, and you can be in the water as long as you want to. There are waters made for water sports, there are beaches entirely covered in starfish (that can be quite pretty! ), there are quiet lagoons, and more! Mauritius may look and feel like an unfamiliar territory (it’s about 35 hours of air travel, depending on your travel deal), but once you get to meet the locals, you will immediately feel the “homey” atmosphere in the Island. A lot of them speak English very well, so you do not need to worry about language barriers. It’s also easy to find a Mauritian who can lend a helping hand should you need one—they are very proud of their island and their culture, which is why they are friendly to tourists who want to discover the beauty of Mauritius. Their food is a melting pot of different cultures. Before their independence, Mauritius had many nations disputing over it including France and England. This is evident in their cuisine, where you can see French and English influences. Aside from French and English, booking a luxury travel to the island will allow you to see that the island’s diverse ethnicity is encompassed in some of its iconic dishes with some inspiration from Asian favorites like samosas, curry, chicken kalya (chicken cooked in yogurt and saffron), and poori. Put more thought where to stay for your exotic vacation. Be careful of shelling out too much on food. Finding a place that will let you cook will do two things for you: first, you get to immerse yourself to the Bahamian Cuisine—from buying the ingredients in the market (we suggest you try buying conch!) to actually cooking them and second, you also reduce your expenses on food to half. If you’re not much of a cook, cheap thrills can still be found all over the Bahamas. We suggest you try the chicken in a bag or conch fritters, both of which are available in Bahamian fast foods. Think of what you want to do in advance. First, you make two lists—one is a list of activities which you know will incur costs, the second one a list of activities which you know you have to pay for. Then list them according to priority, so you know easily which one you can forego. Or if you are unexpectedly running low on budget, you still get to enjoy your exotic vacation in the Bahamas because you already have you list of cost-free activities. Smart, right?